Love pets ... will travel! Jim and I are a happily married non-smoker couple in our mid-fifties living in Canada. We are lucky enough to have both worked for the Canadian government for 33+ years and are retired since January 2018. 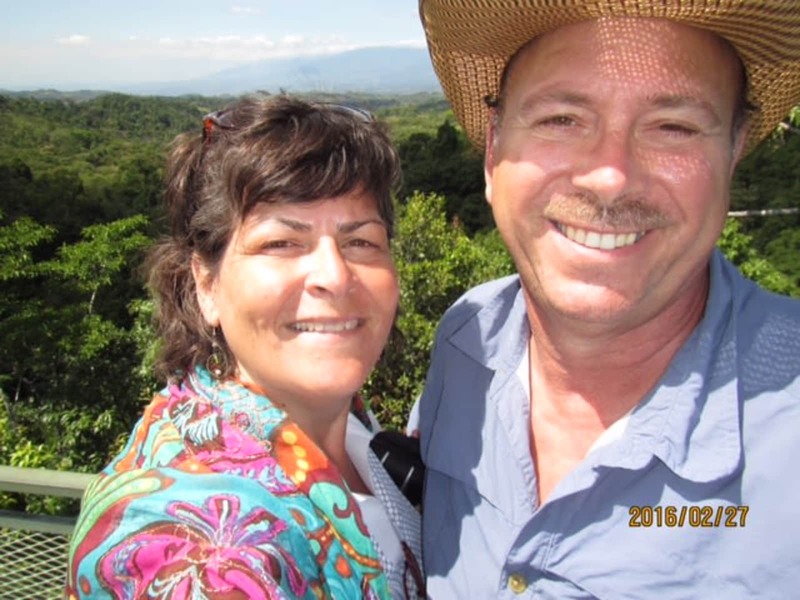 Still young (ish), mentally/physically healthy, we decided to start this new chapter visiting new places.During a trip to Costa Rica a few years ago we met a wonderful couple from the USA that introduced us to the concept of house/pet sitting. They had been moving from one sitting assignment to another for the past 15 years!! My husband and I were immediately hooked. It was the perfect fit for our love of travel, animals, and gardening.We are both very active and have a passion for the great outdoors. Jim grew up on a farm with large vegetable and fruit gardens, as well as livestock. He joined the Canadian military at a young age and spent many years outside alternately shivering soaking, sweating and/or covered in dust in Canada and abroad. I am more of a city girl having grown up in Montreal but after nearly 30 years with Jim you would never know it! !Pets and animals have always been a big part of our lives. We’ve had cats, dogs (Beagles and Chesapeake Bay Retrievers), tropical and non tropical fish, hamsters, rabbits, chickens, and the hoards of birds, squirrels, and groundhogs we have in our backyard. Experienced and knowledgeable animal lovers, I have lost count of the pets we have loved, owned and cared for over the years. The numbers may have blurred but their names and the joy they gave remain. Every one a character, an individual, with personalities to match.We are avid animal watchers. Long hikes in the woods/jungle and fishing expeditions have let us observe many native animals here and abroad in their natural habitat.Over the years, we have come to realize that we prefer to travel on our own, renting houses and cars which allows us to explore and experience different cultures and meet truly authentic local people. 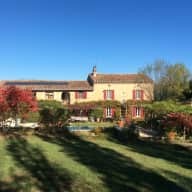 Although we currently live in an urban setting we have a tendency to gravitate to less known destinations when travelling.Besides traveling, gardening and the great outdoors, our hobbies include cooking, wood working (building furniture), photography, hiking, snorkeling to name a few.We are both fluent in English and French … with a little bit of Spanish on the side! 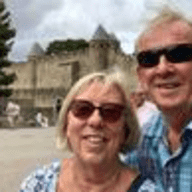 For Jim and I, house sitting offers the perfect opportunity to explore/experience new places and different styles of living in an affordable way while maintaining a sense of home with the added bonus of enjoying the love and companionship of pets. Having needed a house sitter ourselves on a few occasions, we understand why you need the peace of mind that comes with knowing that your home and pet are secure and looked after. It’s a win win situation! Monique and Jim were wonderful, cared for home and pets with love and respect we wish we had spend more time with these lovely people We could recommend them to anyone who wants to be able to leave their home and pets in good hands knowing you will not have to worry about anything . If there is a problem they solve it . 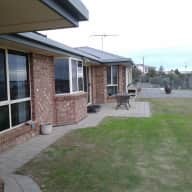 Thanks so much Karen, we had a wonderful time in Tailem Bend. Molly, Millie, and Ella were a joy to look after and your beautiful home provided a cosy relief from our travel. Both you and Garry were very generous with your time, making sure we had all the information we needed while you were away. We sincerely enjoyed our time chatting with the both of you before and after your trip and feel truly privileged to have meet such lovely people. Monique and Jim were perfect sitters for us., and we would be happy to recommend them for future house sits. Very capable, nothing seemed to worry them. We were able to go away ,confident that they would be able to cope with what ever came along. When we came back, everything was clean and tidy, and the animals happy and healthy! Many thanks Monique and Jim, enjoy your travels. 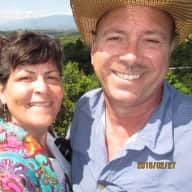 I have known Monique and Jim for many years and would not hesitate for a moment to ask either and both of them to look after my home and/or kids (I do not have pets at this time...). The compassion, integrity, kindness, adventurous spirit, generosity, etc. that they demonstrate on a continuous basis is above and beyond. They are wonderful friends and community members. I have know Monique for 11 years. She is a compassionate person who often puts others needs before her own. Monique is very well organized, takes personal pride in everything she does and she always acts with integrity. I admire her passion for travel and her ability to quickly adapt to new situations/environments. Monique is a very dedicated person for her family and friends. She is very organized and she is very good with animals. She herself has a beautiful home that reflects her tidiness. I have known Monique and Jim for several years. They uphold very high standards in both their professional and personnal lives. I truly believe that they are perfect for such programs as they love pets, and would provide the best care possible. In conclusion, they are both very reliable and dependable and l would not hesitate to ask them to housesit my pets while l'm away. I would leave with a peace of mind that my house and pets are in good hands.